Schilling’s annual Publishing Executive Meeting in Copenhagen was held for the first time in English, a nod to the growing globalization of e-books. Watched over by figures from history, publishers were hard at work thinking about the future. COPENHAGEN: Approximately 90 Scandinavian publishing executives gathered earlier this month in Copenhagen at the historic Carlsberg brewery for the annual invitation-only Scandinavian Publishing Executive Meeting. 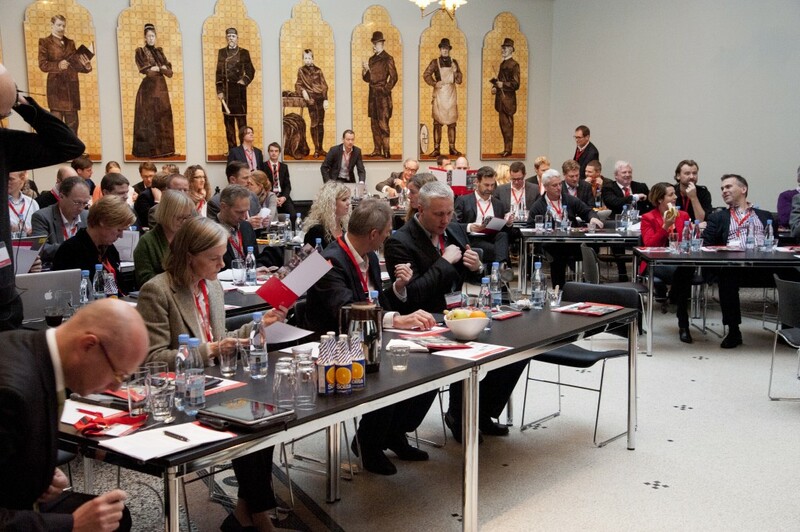 Schilling, a strategic consultancy for Scandinavian publishers, organizes this annual confab. For the first time, Schilling held the conference entirely in English. Also for the first time, the conference took on a decidedly international theme by importing speakers from Spain, the U.K and United States, including yours truly representing Smashwords. What follows are some of my personal notes and observations from the conference. I invite other attendees to share their notes in the comments below. Like any good conference, some of the best revelations took place in hallway conversations, mixers and meals lubricated with Carlsberg beer, and late night bar crawls. For your sober pleasure, I’ll focus my notes on the conference portion. The conference kicked off with Apple’s Nordic business development manager who talked about the iPad and the iBookstore as a platform for Scandinavian publishers to reach a global audience. Several times he joked, when pointing to a picture of the iPad, “we still don’t know what this is.” His point, not lost on the crowd, was that the iPad is a multi-function device capable of unleashing and monetizing the talent of publishers and content creators, whether they’re designing rich media apps or simple EPUB e-books. Interestingly, he commented that the iBookstore launched a few weeks earlier in Scandinavia with over 120,000 books, but only about two dozen titles were in Danish. This figure, in my opinion, spoke volumes about the state of the Scandinavian publishing industry, and underscores the incredible opportunity for publishers. Multiple publishers I spoke with estimated that e-books today account for 0.5% or less of the overall trade book business in Scandinavia. In other words, the Scandinavian market is where the U.S. market was just a short five or six years ago. SRI International has brought the world many innovations, including the computer mouse and more recently, SIRI, the voice assistant now standard in the iPhone. Marianne T. Poulsen, head of the European Office of Silicon Valley based SRI International, gave a well-received presentation that explored how publishers can create a culture of innovation. She spoke of her several years studying Silicon Valley startups where she was impressed by the willingness of entrepreneurs to share ideas, work collaboratively, think big and take big risks. She recalled sitting in a coffee shop in Palo Alto and being impressed one day by an eager entrepreneur who was preparing a funding pitch to a Sand Hill venture capital firm. This stranger approached her and asked if she wouldn’t mind listening to their VC pitch and providing feedback. Did you know at SRI they have rule that if you’re attending a meeting and decide you have no value to add, you’re encouraged to leave on the spot and go do something more productive? Brilliant. Henrik Teilbjørn, a fashion industry executive, shared his insight into how fashion designers innovate in a world where 70% of the industry’s product is refreshed each year. I was impressed the Schilling folks thought to invite such a unique perspective. In a world where everything released yesterday is old tomorrow, and much of the value is imaginary or intangible, the potential parallels were interesting to contemplate. Like publishers, fashion designers invest in products they believe in, they manufacture supply, then sell and distribute the supply out to retailers. Also like publishers, the fashion design industry is data-driven. They track and analyze near-real-time retail sales across geographies and use this information to gauge consumer interest and inform their current and future production and design investments. The presentation left me thankful I wasn’t in the fashion industry, especially when he commented that fashion is in the business of selling products people often don’t need, or that consumers find difficult to differentiate between one product and another. Pete Downton, a former vice president at Warner Music who negotiated one of the first iTunes deals with Steve Jobs, shared his insights into some of the mistakes made by music publishers when faced with the threat — both real and imagined — of piracy. Downton said that music publishers responded to declining revenues by raising prices and suing customers. Instead, he argued, they should have embraced the new digital opportunities. He said that when music published first signed on to distribute music through Apple iTunes, few of them took Apple seriously and some of them thought Apple would fail and might get acquired by a music publisher. In retrospect, said Downton, Apple helped save the industry from what would otherwise have been a cataclysmic implosion (my words, not his). Indie author Nyree Belleville from Northern California wowed (and terrified) the crowd by sharing her story of how she’s earned over $1 million this year by self-publishing e-books (disclosure: She distributes some of her e-books through Smashwords). In my opinion, Belleville is one of the smartest, most successful indie authors on the scene today. She writes under the pen names Bella Andre and Lucy Kevin. I think some hearts sank when she showed a simple slide that explained the economic incentive that compels professional authors to self-publish. The chart showed how authors earn 25% net (around 12-17% list) selling e-books through a traditional publisher contrasted with up to 70% list if they self publish. Belleville cautioned publishers that they need to rethink author compensation if they want to retain authors in the era of the e-book. Belleville and scores of other high profile indie successes are attracting the attention of fellow professional writers who are beginning to ask what publishers can do for them that they can’t do for themselves. If you’re a publisher, it’s not a question you want your authors asking. A session on new business models featured Andrew Rhomberg of Jellybooks in London, Justo Hidalgo co-founder of 24symbols in Spain, myself representing Smashwords from Silicon Valley, and Anna Lewis and Oliver Brooks representing Valobox from London. A summary of each follows. Jellybooks is working to create an e-book social commerce equivalent of Groupon, and according to founder Andrew Rhomberg has already signed on most of the Big Six publishers who will begin experimenting with his new service in Q1 2012. Publishers will nominate titles for promotion, and Jellybooks will select the titles for 12-hour promotions. Prospective customers are encouraged to tap into their social networks to rope in fellow customers to participate on the deal. If customers don’t bring in enough deal subscribers, no one gets the book at the discounted price. Books are likely to be priced half off, and Jellybooks will earn a portion of that. Justin Hidalgo presented the business model behind his innovative 24Symbols, which plans to utilize a freemium model to help publishers sell books via an all-you-can-eat subscription. The service is a bookish cross between Netflix and Spotify. At present, users of 24Symbols can read books online for free, and 24Symbols splits the ad revenue with the publisher. Currently, according to Hidalgo, the service is mostly offering public domain content, with about 50% of the content Spanish language. The service has already attracted 50,000 registered users, a number which he expects to reach 100,000 within the next few months. In 2012, the service will launch the paid subscription portion, where customers will purchase paid monthly subscriptions to gain increased access to premium content from mainstream publishers. Hidalgo acknowledges the business isn’t profitable for participating publishers yet, but he expects this to change in 2012 as he scales the reach and participation of paid customers. Book buying shifting to online retailers, with brick and mortar declining in significant and market share. The US market for ebooks to be eclipsed by the global market as markets outside the US enter their exponential growth phase. The power in publishing is shifting away from publishers to authors as authors gain access to free book production and distribution tools, and as retailers embrace indie authors. For point #4, I cited the aforementioned Nyree Belleville as an example. Here’s a writer with traditional credentials under her belt, yet as an indie author she has exploited her books more effectively than any traditional publisher ever did or ever could. I spoke about how in the old world, publishers exploited an author’s work for the benefit of the publisher. In the new world, if traditional publishers want to keep their Nyree Bellevilles, they must learn to exploit their author’s books for the benefit of the author. It’ll be tough, but not impossible for publishers to thrive in the years ahead. They must do for the author what the author cannot or will not do for themselves, and they must do it in a way that the author recognizes the publisher’s value-add. No doubt, publishers add great value. The challenge, however, is that many authors aren’t seeing it, or they consider the value-add insufficient. Anna Lewis and Oliver Brooks shared the business model behind their new startup,Valobox, based in London. Valobox is developing an interesting pay-as-you-read, social retailing service. They’re initially targeting non-fiction and academic publishers, though the service likely has application for fiction as well. Their service will allow readers to browse books on the web and purchase bits of content as they go. Content owners are paid 60%, the web site owner who embeds their reading widget earns 25% list, and Valobox earns 15%. The strangest presentation came from an Ernst & Young executive, who shared his expertise on how publishers can manage their ever-important cash flow. He talked about how publishers need to earn the bulk of their profits in the first couple months of publication, and if they sell out their print run they should be happy and think carefully about risking further print runs. Did I hear that correctly? Although few topics are as important to any publisher as cash flow, the key missing element of his presentation was, as pointed out in a Q&A question posed by Marianne Poulsen of SRI International, that he didn’t address the impact of e-books on the cash flow models. E-books are not dependent upon print runs and need never go out of print. Assuming print remains part of the publisher’s workflow, the incremental cost of e-book production is near nil. E-books are easily distributed across geographies into territories that were once unreachable by print. This could have been a fascinating and useful presentation if he had explored how publishers can manage cash flow in an era of declining print runs and increased digital sales. Maybe next year. For any publisher, cash flow management is extremely important. Unlike their publisher brethren in more populated countries like the US, Canada, or UK, most Scandinavian countries have little more than five million people each. It’s difficult to reach economies of scale in such a small market. Herein lies an interesting opportunity for Scandinavian publishers (and publishers in other small markets). There are many talented publishers in Scandinavia with unique content of potential interest to a broader, global market, but their content is locked within their local languages and limited markets. Thanks to the rise of e-books, and simplified global distribution (enabled by Smashwords and others), it’s now cost-effective for publishers to attain global reach by listing their e-books in bookstores operated by Apple (32 markets, with more coming), Kobo (multiple territories), Amazon (four territories, with more coming) or in independent local market e-book stores. The opportunity for Scandinavian publishers is to translate their best books into English and other languages for worldwide digital distribution to a global market. On the flipside, there’s an opportunity for both English-language and Scandinavian publishers to quickly release content in the Scandinavian languages. Nyree Belleville, sensing the opportunity to become the big fish in the small-but-fast-growing ponds of Norway, Sweden, Denmark and Finland, pledged to translate her catalog into several Scandinavian languages within the next 12 months. The Scandinavian markets are likely to evolve as quickly if not more quickly than the evolution we’ve already seen in more mature ebook markets. Scandinavia, like most markets around the world, will soon start tracking the exponential growth phase now playing out in the US, UK, Canada, Australia, Germany, France, Italy and elsewhere. The best time to jump into the pond is when it’s small. The publishers who are the first movers will be the ones best-poised to capture market share as the retailers and markets grow. I think all attendees at the conference walked away with a renewed sense of optimism thanks to the global opportunities enabled by digital. My thanks to the folks at Schilling for organizing such a thought-provoking conference. 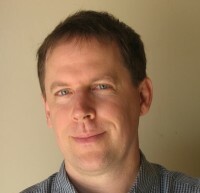 Mark Coker is founder of Smashwords, a global ebook distributor based in Los Gatos, California. Founded in 2008, Smashwords has helped over 33,000 authors, publishers and literary agents release over 87,000 ebooks. Smashwords e-books are distributed to the Apple iBookstore (32 global territories), Barnes & Noble, Sony, Kobo, the Diesel eBook Store and mobile app platforms. DISCUSS: Will a Collapse of the Euro Slow European E-book Adoption?